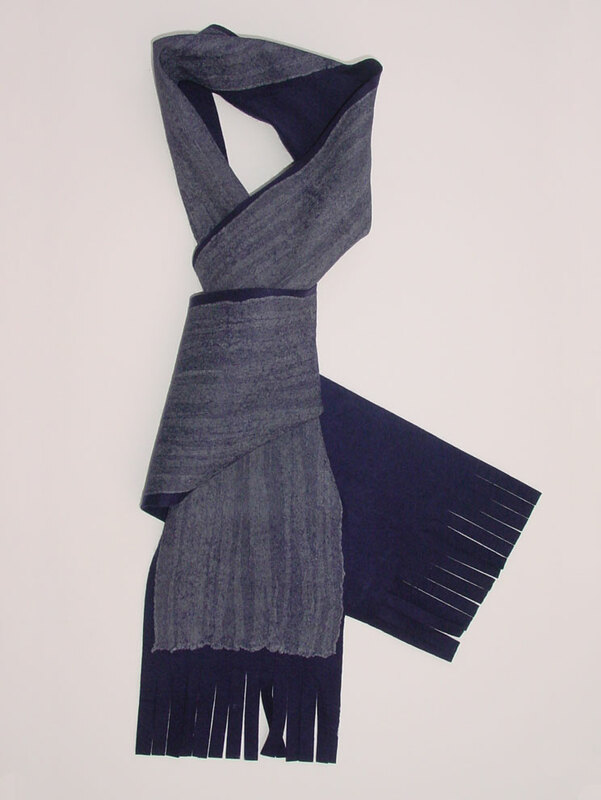 This scarf was made by dampening a gauze silk scarf and creating lengthwise 'pleats' in the scarf on top of the prefelt. Dampening the scarf helps the pleats stay in place while they are formed. The scarf was felted with a sander, fulled by folding and dropping, and finished with a light rub on a glass washboard. After the scarf was dried the felt edges were trimmed and the fringe cut. Finished size: ~ 7" x 66"